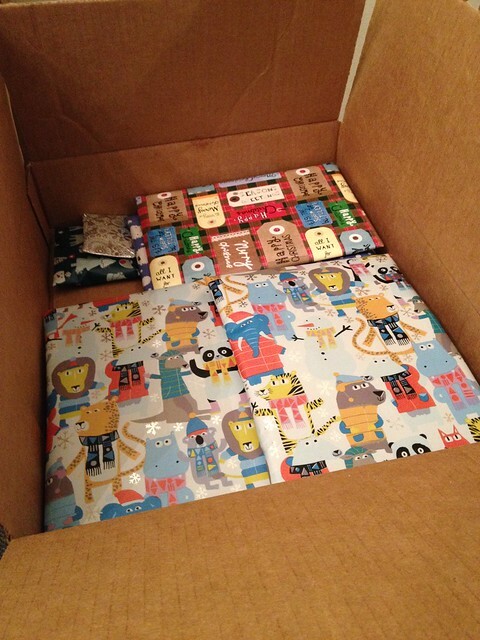 #stitchingsanta What I Think I sent?! Merry Christmas everyone!! I hope you have all had a lovely day – I know we have! Back at the start of December, I feeling quite pleased with myself due to the fact that my #stitchingsanta parcel was all ready to be sent. In the midst of wrapping, I thought S**T oh dear! I had forgotten to take photographs of what I had bought and I had already wrapped the majority of everything up. 😦 AND now I’m sat here writing this blog post, I keep forgetting what I had actually bought and don’t have many photos to help me remember, so this blog post is a little bit thrown together! I also decided to schedule this for Christmas Day evening as I didn’t want to spoil any of the surprises! I do feel that I did really well with the items I bought for the $15. I got everything in one trip, made advantage of the sales/offers and used a 25% off total purchase coupon. Go me! 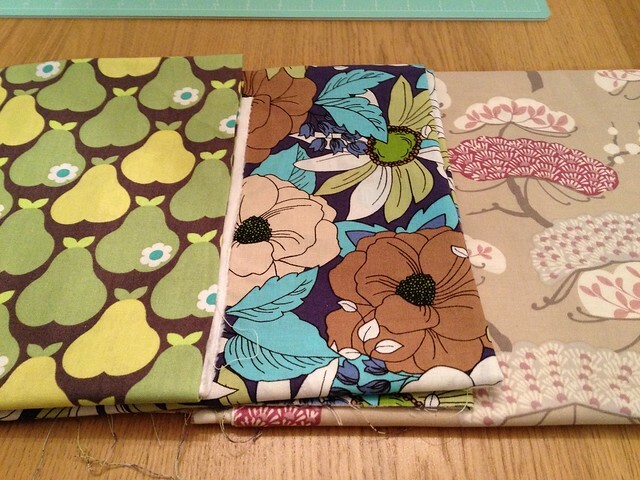 I managed to get one yard cuts of these 3 cotton fabrics for just under $3 each. The pinky/neutral coloured one on the right may actually be 2 yards because I bought a 1 yard cut & a 2 yard cut…I can’t remember which length I sent in this parcel! 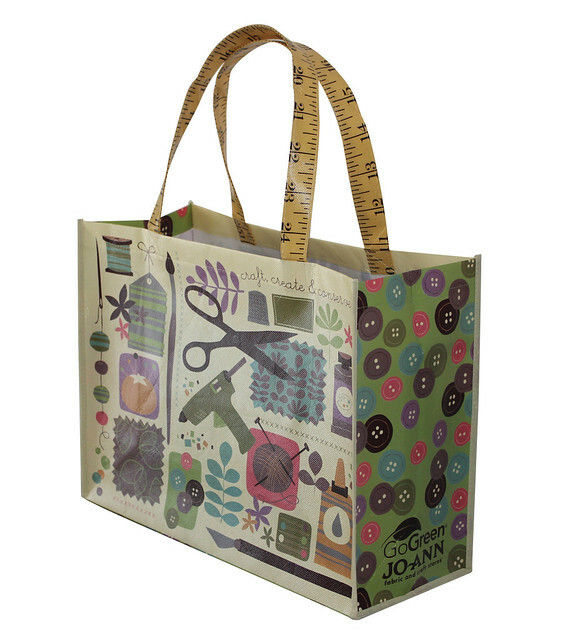 This super cute sewing shopping bag was a bargain at $1.79. I included a dress pattern which I now can’t seem to find a picture of anywhere online. I chose the pattern because I thought it would be a good dress pattern for using up smaller cuts of fabric as it had a chest panel option, typically for voile/sheer fabrics but I thought it would still be good for cotton too. 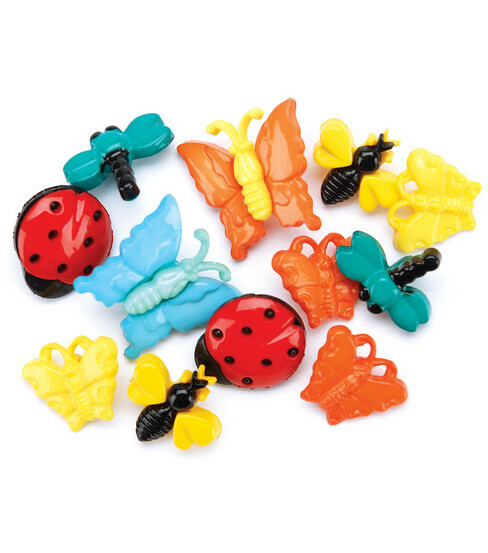 Insect buttons were also included that were similar to these ones…I think! 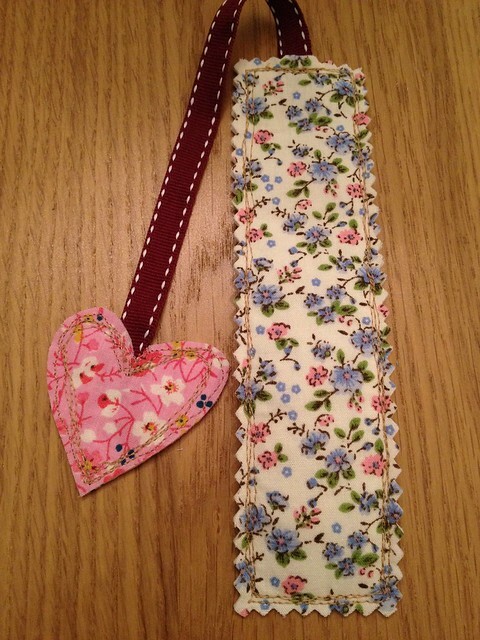 I’m sure I also chose a pack of 2 buttons that could have been dragonflies, but again I can’t remember!!! HOW FRUSTRATING!!! I hope I haven’t forgotten about anything else…I shall find out when the blogger’s received post goes up I suppose! I hope she likes everything! 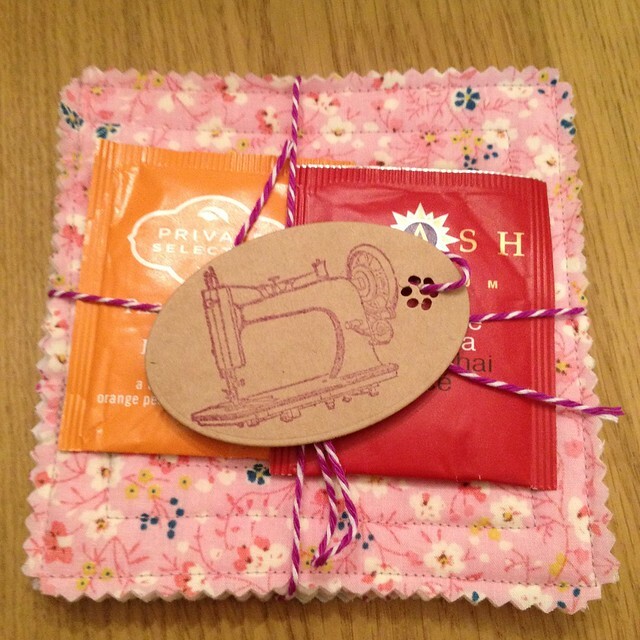 I must say a big thank you to Sewchet too for organising the whole swap! I am loving reading all the posts! 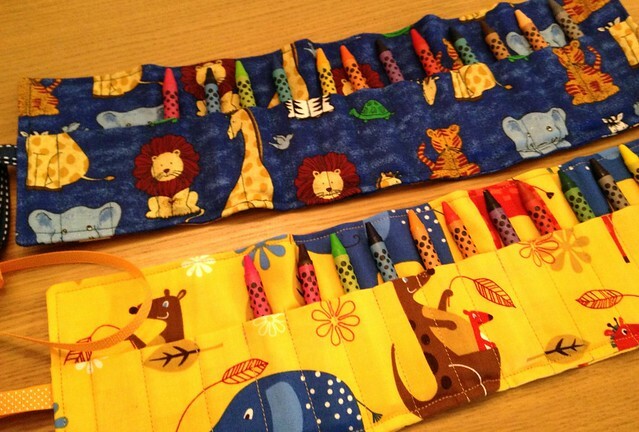 I love that little sewing bag – so cute with the tape measure handles! Thank you! I do love the challenge of finding things for a budget, I love bargain shopping!